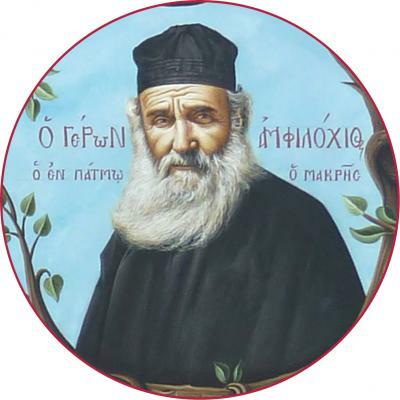 At Easter, 1968, Elder Amphilochios received a forewarning of his coming repose, and was given two years to prepare himself and his children for his repose. Anxious for his spiritual children, he asked God with tears for more time to develop his children, after which the Mother of God and St. John the Theologian appeared to him and informed him that his request was denied. Soon after this, he received a bout of flu. Having made his final preparations, he reposed on April 16, 1970.